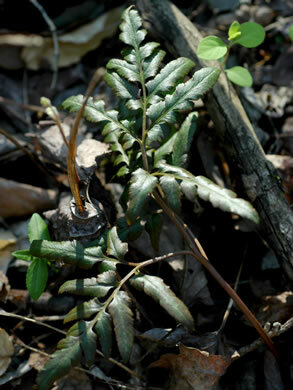 In our area, forma obliquum is more common, often confused with B. biternatum, per Weakley's Flora. 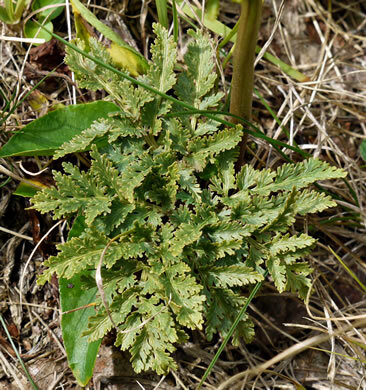 Sterile blade segments entire to obscurely serrulate or crenulate, per Weakley's Flora. 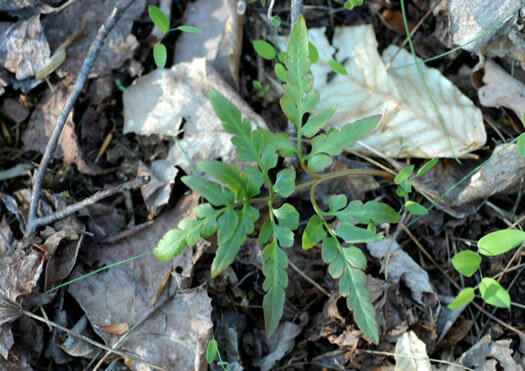 Leaves broadly triangular in outline, about as broad as long, per Weakley's Flora. 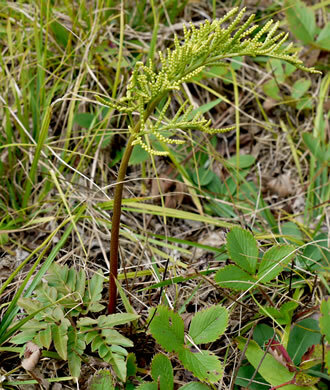 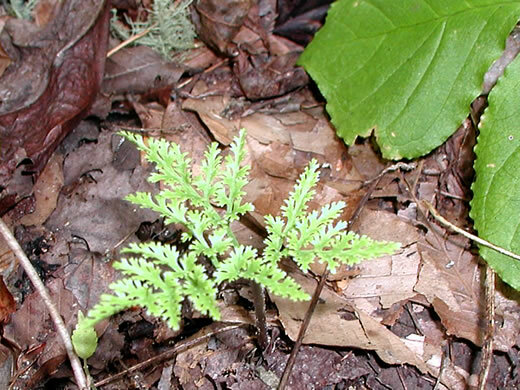 Forma dissectum is rare in GA-NC-SC, occurring primarily in the Mountains, per Weakley's Flora. 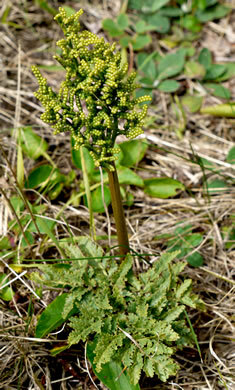 Fertile and sterile stalks joined far below the base of the leaf blade, per Weakley's Flora.